It goes without saying that you could find some pretty dangerous animals if you were to travel back in time tens of millions of years ago, but not all of the creatures that lurked in prehistoric times were dramatically different from what we can still find on Earth today. A newly-discovered species of ancient fish that swam Earth’s waters roughly 150 million years ago actually doesn’t look all that different from some that still exist today, but that doesn’t mean you’d ever have wanted to take a swim with them. The species has been named Piranhamesodon pinnatomus, and if you couldn’t tell from its name, it was a lot like a piranha. 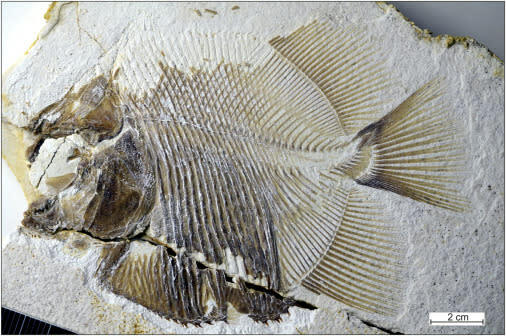 The fish, which was found in Germany, would have lived during the late Jurassic period. That means it would have been around at roughly the same time as some pretty iconic dinosaurs, like the allosaurus, stegosaurus, and brachiosaurus, but the animal itself was not a dinosaur. What it was, however, was a pretty serious nuisance for fellow fish. The researchers that discovered the species — whose work is published in Current Biology — found what they believe are some of the fish’s victims nearby. Rather than being torn apart and feasted on, the prey fish weren’t outright killed. Instead, the sharp-toothed predator apparently nibbled away at their fins, allowing them to regrow before biting away once again. 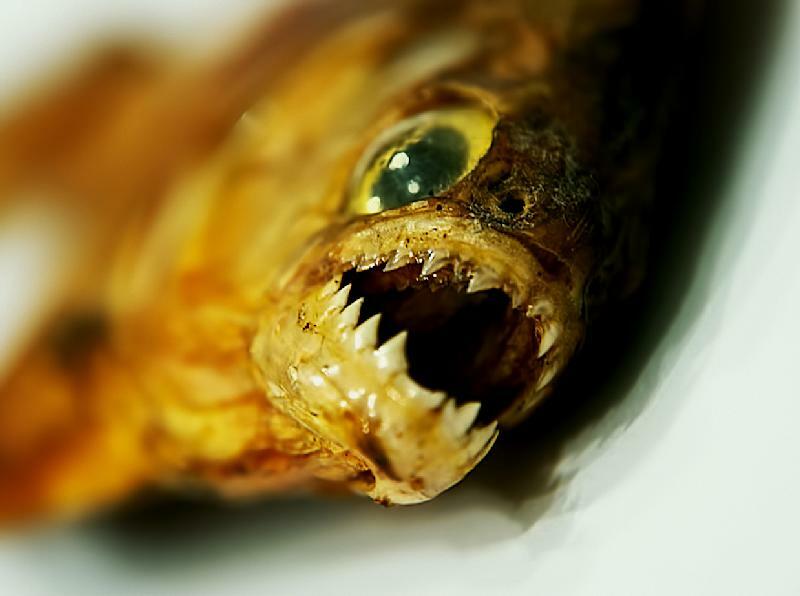 Piranhas tend to be portrayed as bloodthirsty beasts that swarm to attack anything that comes close, but the reality is that most of the time the carnivorous fish take small meals whenever they can. This new discovery would seem to suggest that the same was true of similar fish going back 150 million years. Maybe time doesn’t change that much after all?